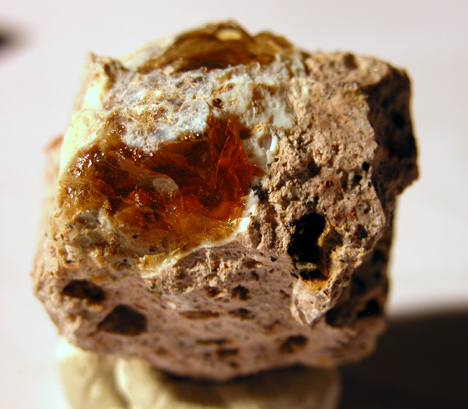 Fire Opal: Mineral information, data and localities. 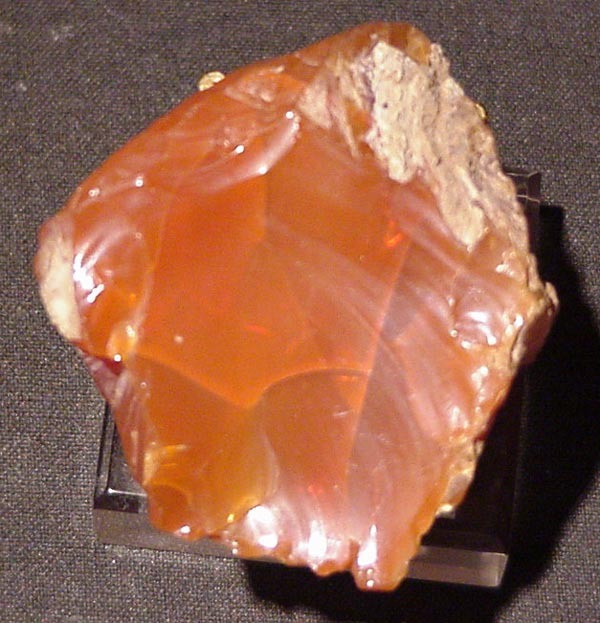 A red variety of Opal. Visit gemdat.org for gemological information about Fire Opal. Precious Fire Opal Fire Opal displaying a play of colour. Milk Opal 5 photos of Fire Opal associated with Milk Opal on mindat.org. Opal-AN 3 photos of Fire Opal associated with Opal-AN on mindat.org. Precious Opal 2 photos of Fire Opal associated with Precious Opal on mindat.org. Chalcedony 2 photos of Fire Opal associated with Chalcedony on mindat.org. Common Opal 2 photos of Fire Opal associated with Common Opal on mindat.org. Honey Opal 1 photo of Fire Opal associated with Honey Opal on mindat.org. Opal 1 photo of Fire Opal associated with Opal on mindat.org. The following Fire Opal specimens are currently listed for sale on minfind.com. Padrón de Minas de la Provincia de Chubut (2005). Szakáll: Topographia Mineralogica Hungariae III. KARACIK, ZEKİYE; GENÇ, S. CAN; ESENLİ, FAHRİ; GÖLLER, GÜLTEKIN. (2011) he Gümüldür Fire Opal: Mode of Occurrence and Mineralogical Aspects. Turkish Journal of Earth Sciences. Jan/Feb2011, Vol. 20 Issue 1, p99-114. Karacik, Z., Genc, S., Esenli, F., & GÖLLER, G. (2011). 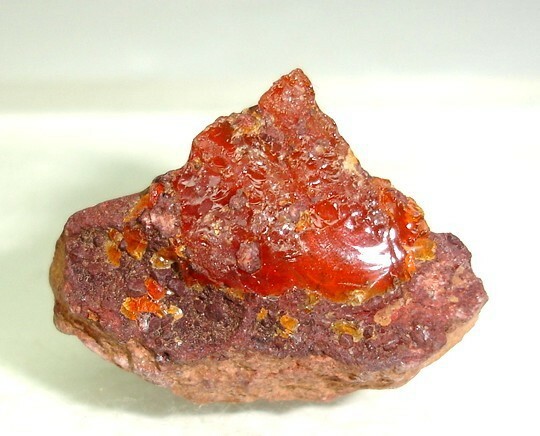 he Gümüldür Fire Opal: Mode of Occurrence and Mineralogical Aspects. Turkish Journal of Earth Sciences, 20(1). ; ESENLİ, F., KUMBASAR, I., EREN, R.E. & UZ, B. 2001. Characteristics of opals from Simav, Turkey. Neues Jahrbuch Miner Monat 3, 97–113. Galbraith, F.W. & Brennan (1959), Minerals of AZ: 87. MacFall (1951), Gem Hunter's Guide, 1st ed. Kunz, George Frederick (1903), Precious stones: Mineral Resources U.S., 1902: 76 (? ); Murdoch, Joseph & Robert W. Webb (1966), Minerals of California, Centennial Volume (1866-1966): California Division Mines & Geology Bulletin 189: 282; MacFall (1951), Gem Hunter's Guide, 1st ed. Murdoch, Joseph (1946), Progress on revision of Bulletin 113 “Minerals of California,” with notes on some new mineral occurrences: California Division Mines Report 42: 197-198; […(abstract): Geological Society of America Bulletin: 57: 1256]: 101; USGS (2005), Mineral Resources Data System (MRDS): U.S. Geological Survey, Reston, Virginia, loc. file ID #10286923. Bradley, W.W. (1916a), Colusa, Glenn, Lake, Marin, Napa, Solano, Sonoma, Yolo County: California Mining Bureau. Report 14: 321; Murdoch, Joseph & Robert W. Webb (1966), Minerals of California, Centennial Volume (1866-1966): California Division Mines & Geology Bulletin 189: 282. Dake, 1956. NW Gem Trails, 2nd ed. Robert C. Beste, PG (2005) A Location Guide for Rock Hounds in the United States. 3rd ed. Hobbit Press, St. Louis. 149p. Mins. of NYC & Its Environs, NY Min. Club., Vol. 3 (1931), edited by J.G. Manchester; Canfield (1889). Dake, H,C. (1956) Northwest Gem Trails: A field guide for the gem hunter, the mineral collector, and the tourist., 2nd ed., 80 pages.